The SCHSL Class 5A No. 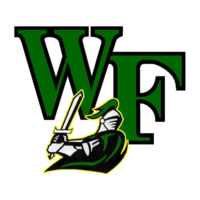 5 ranked West Florence Knights are a very talented bunch with loads of college prospects on its roster. Most notably, rising junior, Sharone Wright Jr. is a HM D-1 prospect that runs the show for the Knights. The 6-foot-5 point guard holds over 15+ offers and is one of the best young prospects in the state of South Carolina. Through four games, he is averaging 19.7-points, 6-rebounds, and 5.7-assists per game. In addition, his backcourt mate Jalen Cameron is no slouch himself. In fact, the 6-foot-4 shooting guard holds several mid-major offers and is chipping in 19.3-points, 10.7-rebounds, and 2.7-steals per contest up to this point. Tray McCray is another productive player that is heavily involved in West Florence’s scheme of things. This Saturday, it will take a complete team effort for the Knights to be victorious against a well-oiled A.C. Flora squad. 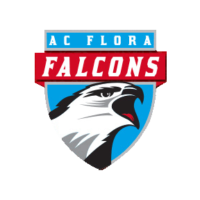 Fresh off of a 3A state championship, the A.C. Flora Falcons move up in classification to the SCHSL Class 4A division, where they are the No. 1 ranked team entering the 2016-17 season. They bring with them a great mix of experience and talent. Christian Brown is an absolute stud, the 6-foot-6 sophomore is the No. 1 rated small forward in South Carolina for the class of 2019. He already holds offers from the likes of Florida, Kansas, Oklahoma State, and Wake Forest to name a few. Senior Deshawn Thomas patrols the paint for the Falcons. The 6-foot-9 big man is arguably one of the best rim protectors in the entire state. He holds mid-major offers such as Florida Gulf Coast, James Madison, South Carolina State, and UNC-Wilmington. James Reese is a player that has flown a little under the radar for whatever reasons, but the 6-foot-3 senior point guard can flat out play. He gets the job done and will definitely be a steal for Buffalo University. Saturday’s matchup up versus West Florence lines up to be a dandy that will reveal a lot as well as give the winner momentary bragging rights.